Brad's Deals is looking for an E-Mail Marketing Specialist. If you meet the requirements below, you will be eligible to apply via Digital Marketing Community. Analyze and own key email performance metrics (deliverability, opens, clicks, unsubscribes and financials). Leverage email marketing tools to develop transactional, promotional and informational content strategies that maximize customer retention, lead nurturing and up-sell programs. Develop and execute email optimization strategy based on customer data to personalize the email experience. Map out segmentation and contact strategy based on customer preference, past email performance and marketing objectives. Manage email calendar, testing plans and prioritization. Build and keep optimizing emails for better engagement, segmentation, messaging and template design inclusive of the testing roadmap. Own push notification operations, optimization and strategy. Cooperate and coordinate with various departments to ensure that the email marketing and push campaigns are implemented efficiently. Partner with editorial and partner relations teams in developing new email campaign targeting strategies. At least 5 years of relevant email marketing and direct to consumer marketing experience required. Proficient understanding of email sending process. Advanced experience with email sending systems and email delivery platforms such as (Sendgrid, returePath or 250ok). Expert skills in data manipulation and (Tableau) reporting. Basic working knowledge of (HTML) is a plus. Solid understanding of using (MS Office). Ability to work independently or a collaborative team player. Brad's Deals uses real, live experts to direct shoppers to the best deals at thousands of retailers, including Walmart, Target and Kohl's. Brad’s Deals is looking for an E-Mail Marketing Specialist. If you meet the requirements below, you will be eligible to apply via Digital Marketing Community. 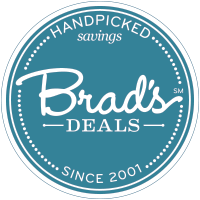 Brad’s Deals uses real, live experts to direct shoppers to the best deals at thousands of retailers, including Walmart, Target and Kohl’s.